✅ Hire a Dutch Google Ads Specialist? Be #1 in the SERPS! In 2018, over 440,000 small and medium business enterprises operated in The Netherlands. Two to three million e-commerce companies exist in the world, however, excluding China. You have a lot of competition and limited space and time to reach your customers. If your ad campaigns, website, and copy aren’t directly connecting with customers and meeting their needs, they will move on to another business. In fact, if your webpage is taking more than three seconds to load, nearly half of your customers will jump ship. Advertising using Google Ads makes marketing even more challenging. Google is the most popular search engine possessing 70% of the search market. It also captures 85% of mobile users’ searches. As business owners, we all want to successfully market our products and services. And, we want to keep costs low. Since the competition is so vast, we simply can’t afford to not hire a Google Ads specialist. If you haven’t hired a Google Ads specialist, read on to learn why you should hire a Dutch Google Ads specialist today. Google’s search engine algorithms are constantly changing. Google is highly responsive to the needs of their users. They want their platform to be the best it can be to create the most user-friendly experience. In essence, they keep their customers happy above all else! This customer-centered approach can sometimes make marketers’ jobs more complex. But, a great marketer will know how to work with Google’s ever-changing interface. One of Google’s most recent changes is a focus on feature integration. Google is now integrating Google Analytics, Google Ads, and even Youtube to provide their users with the best experience possible. For marketers, this means more data to analyze and skills to learn to funnel sales. As a business owner, you may not have the most up-to-date information about these changes. Business owners try their best to be in the know. But, by nature, business owners have a lot on their plates meaning a lot of business matters to keep up-to-date on. Hiring a Google Ads Specialist means you’ll be getting the most out of advertising on Google. You won’t need to worry about keeping up-to-date with Google’s ever-changing algorithms and features. A well-qualified Google Ads expert will be able to easily adapt to these changes. They will devote their time and energy into creating the best campaigns based on these changes. We all have 24 hours in a day. Hopefully, 8 of those hours will be spent sleeping. And, another 4 to 6 spent with the most important people in our lives. Our workdays last anywhere from 8 to 12 hours. During those hours, we have to use our time wisely to receive the best results. We will be forced to decide if we want to learn a new skill or outsource to an expert. If we decide to learn a new skill, it could take 20 hours to master it. And, that just includes mastery within the original framework. So, with changing interfaces like Google, mastering your Google Ads skills could take a lot longer. Just when we think we’ve mastered Google, they update their features, algorithms, and interfaces! This all proves that marketing is a full-time job. If we want to do it successfully, that is. Anyone can put up a Google Ad and hope for the best. But, it takes skill and mastery to consistently produce results. So, ask yourself. Do I really have enough time to master Google Ads? Do I want to sacrifice other important things in my life like my family and other business tasks to learn this new skill? Marketing requires skill. Marketing well requires expertise. Google Ads Specialists have this expertise and have proven their success time and time again. Google Ad Specialists know how to use your money based on your business goals and budget. 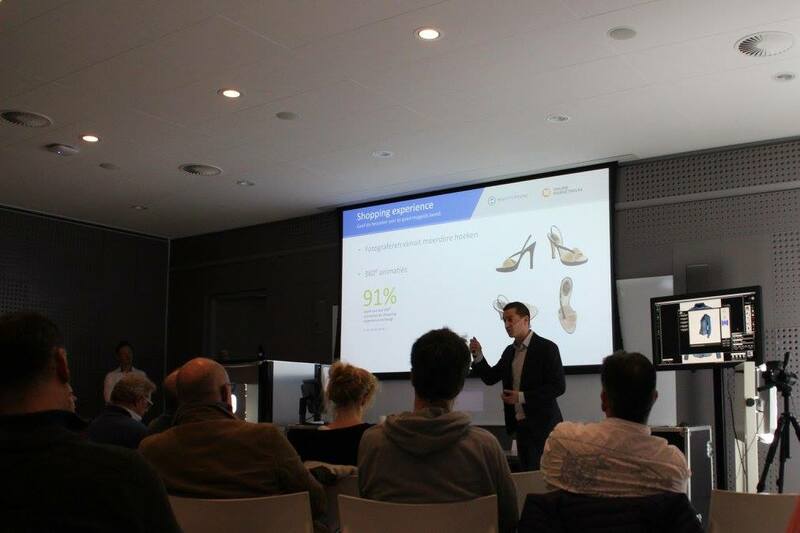 A Dutch Google Ad Specialist will also know how to effectively reach Dutch users and advertise Dutch products. They will understand these markets as well as the European markets thoroughly. When you create a campaign, you will be prompted to dictate settings for your ad to reach your target audience. These settings include language, locations, and ad extensions. It also includes a bid strategy and budget settings. These factors, in addition to types of ad campaigns and the execution of these campaigns, require expertise. It also requires knowing how the budget will play a role in the costs of advertising. Google Ads, previously known as AdWords, now includes a variety of campaign options. Let’s review some of these options. Search Network campaigns are Google’s classic ad option. Running a Search Network campaign means your ad will be displayed on google.com when users’ searches match your keywords. Search Network campaigns will cause your ad to be displayed above the organic search results. It will specifically be labeled by Google as an ad so as to not confuse their users. If a user is interested in your service, then the hope is that they click on your ad. Search Network ads are great for businesses promoting an individual service or product. For example, they’re great for businesses like plumbers, electricians, and businesses currently promoting a single product. Search Network ads typically increase sales, web traffic, and leads. Search Network by Google Ads now offers users a Search Network Campaign with Display Expansion. This feature allows your ad to be viewed by users as a banner on other websites if they previously used Google to search for a product or service. However, Display Network advertising can also be done independently of Search Network advertising. This traditional method of separating Search Network and Display Network may be the best move for your business depending on your goals and budget. Display Networking is typically great at promoting brand awareness and in increasing organic traffic and searches. Shopping Campaigns are ads useful for increasing conversion rates. When a Google search engine user searches for a product matching your product’s keywords, Google will display your ad in the Google Shopping tab. Your product will be displayed next to similar products directly on the Google Search Engine results or when a user specifically selects the “Shopping” tab. Video ads on Google will be displayed on YouTube. Google displays ads on YouTube based on its relevance to a user based on factors like Google Searches and location. Video ads are great for producing leads, traffic, and brand awareness. The whole point of running an ad campaign is to see business growth. If your campaign isn’t producing growth by generating leads, conversions, or traffic, then it isn’t doing its job. A Google Ads Specialist knows how to analyze ad data to capitalize on business growth opportunities. They are also highly capable of producing compelling copy and meta-descriptions to draw in customers. For a Google Ads Specialist, it is a science. If you attempt to run a campaign on your own it may feel more like a trial and error process. At worst, it will feel like a gamble because it is. Consider if you’re willing to waste your hard-earned revenue to gamble on producing Google ads. Every dollar spent trying to run a successful campaign could have been used in order to hire someone more qualified to do the job in the first place. It’s easy to let our adventurous entrepreneur spirit to sometimes get the best of us. We’re used to building everything from the ground up, but there comes a time when your business needs to stop building and start expanding. You’ve done well to cover all the basics, build a brand, and learn about the financial and technical aspects of doing business. Now maybe the time to focus on doing what you do well and leave the rest to experts in other fields. Google Ad campaigns need constant monitoring. Not only does this require time and skill, but also a knack for translating data into action. Google Ads should never be stagnant. They should constantly be adjusted and changed to reflect the data. Do you want to make these constant changes? Do you have the time and the focus to monitor your ad campaigns? Try to be as honest and realistic with yourself as possible. Are you willing to carve out two to four hours weekly in order to assess your campaign’s data in relation to your goals? Hiring a Google Ads Specialist will seem fruitless if you don’t hire the right one. In the Digital Age, almost anyone can claim to be an expert. So how do you know who is legitimate and who is not? First, you should always interview the person directly who will be in charge of your account and campaign. Find out how many years of experience they have with Google Ads and what certifications they have. Research their credentials and if they work for a company, research it as well. Test their technical knowledge as well. Ask them about types of Google Ad Campaigns, keywords, and split A/B testing. Google Ad Specialists need to also have time management skills. Test these skills by setting up phone meetings and by emailing back and forth with them. If they seem to always be late or respond to emails a week later, then it’s fair to say that they may have too much on their plate to effectively run your campaign. Another skill they need to have is the ability to connect with your business. They need to understand your brand, your target audience, and your company’s mission. They need to be able to embody your business to effectively advertise to your customers. If they aren’t a good match for your company, then your customers may be confused. They may notice a change in brand tone and message. To avoid this pitfall, make sure the Google Ads Specialist is crystal clear about who you are as a business. You could even ask them to create a sample ad before buying into their services. Ask them to make an ad that best matches your brand, target audience, and products. If they create a generic ad, then they aren’t the right Google Ads Specialist for your company. Ready to Hire a Dutch Google Ads Specialist? Trusting your business in the hands of an outsider is intimidating. But, hiring the right Google Ads Specialist doesn’t have to be. If you live in The Netherlands or are looking to break into the Dutch market, then hiring a Dutch Google Ads Specialist with experience is even better. Looking for a Dutch Google Ads Specialist? Look no further! My name is Rubin de Vries, and I specialize in helping businesses create successful Google Ad campaigns for the past 12 years. Contact me today, so we can chat about your business and your Google Ad goals!